Jacob Moore and Jamie Kramer moves all in from UTG+1. Action folds back around to Moore, who hesitates for a moment, then makes the call, having Kramer covered. 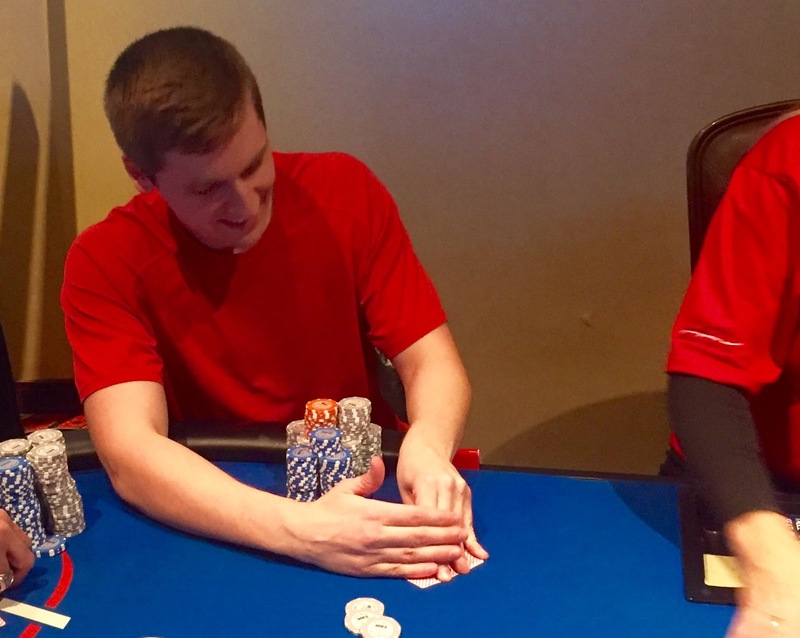 There's a 7 on the flop, the rest of the board blanks, and Kramer is the TV Table Bubble today here at Belterra.